There has been some interest among new members of the society toward looking at the merits of establishing some sort of professional certification for geologists. While the matter has been discussed in the past, a small committee has been formed to revisit the issue. Special thanks to our committee members: Kevin Solie, Chris Maike, Lance Loken, Dustin Anderson, and Tim Adair. It looks like we will be filling our vice-president position with two individuals (pending a vote from the Society). Levi Moxness (with the Survey) and Ogochukwu Ozotta (graduate student at UND) have both offered to help. Thus, I am putting forward that we make them co-vice presidents, with Ogochukwu keeping in touch with the work going on at UND & NDSU and Levi checking in on the work around Bismarck & DSU. With the success of the AAPG Rocky Mountain Section Foundation grant opportunity for the students over at UND we are continuing our discussion of what we might want to support in 2019. Please let an officer know of other projects we could support. Dr. Stephanie Day has been an assistant professor at NDSU since 2012 where she teaches geography courses. Before that she received her PhD from the University of Minnesota, where her work focused on better quantifying erosion on the Le Sueur River, a tributary to the Minnesota River. Today Dr. Day identifies herself as either a fluvial geomorphologist or an anthropogenic geomorphologist depending on the day. For this talk she will focus on fluvial geomorphology, but it is unlikely that she will avoid talking about human impacts on rivers. The ongoing flood of the Red River is a good reminder that Eastern North Dakota experiences the effects of living on a glacial lake plain almost annually, yet there are other lasting effects of Glacial Lake Agassiz that are less apparent. Much of southern Minnesota and eastern North Dakota continues to respond to the formation and draining of Glacial Lake Agassiz. These young dynamic landscapes provide experiments, teaching us about river evolution and the effects of various forces in altering that evolution. Cost: Lunch $5.00 - Lunch will include pizza, pop, and water. If you haven’t submitted them already, please consider payment at the meeting or online using the link in the left column. It will be much appreciated. Annual dues cover August 1st of each year through the following July 31st. Lydia Tackett received her PhD from the University of Southern California in 2014. Her research focuses on changes in marine ecosystems during the Early Mesozoic, focusing on the role of biotic versus abiotic influences. Her current research project focuses on the concept of evolutionary escalation, in which predator pressure on their prey induces an adaptive response, which causes greater adaptation in the predators, locking groups in an amplified relationship that may have a dramatic effect on marine ecosystems. Tackett uses a combination of paleoecology and sedimentology in her lab, and performs fieldwork in Nevada, Italy, and New Zealand. Cost: Lunch $5.00 - Lunch will include pizza and pop. Adedoyin, Chioma, and Francis are graduate students at the University of North Dakota and are part of the new AAPG student chapter there (Adedoyin is the chapter president). We were able to partner with the AAPG Rocky Mountain Section Foundation to offer them $1000, to help offset the costs of attending AAPG’s annual convention in Salt Lake City this year. In return, they kindly agreed to present their research to us! Adedoyin has been studying the Bakken-Three Forks Formation, comparing source rock maturity with pore size distribution and fluid saturation, while Chioma has been studying reaction rate indices involving oil generation dynamics within the Bakken, and Francis has been studying the petroleum potential of the Birdbear Formation. Join your fellow Society members again and enjoy Mark’s culinary skills. Food will be provided, and the Society will be providing some beverages. You are welcome to bring your own beverages, however please do not bring glass containers per park rules. Mark needs a rough headcount a few days prior to the event so please RSVP earlier rather than later. Wes Peck is a Principal Geologist at the EERC where he is involved in subsurface resource development with an emphasis on the Williston and Powder River Basins. Wes is the manager of the North Dakota CarbonSAFE project and also serves as task lead and principal investigator of the regional geologic characterization component of the Plains CO2 Reduction Partnership (PCOR) Partnership Program, which focuses on carbon dioxide storage in central North America. Wes received his M.S. degree in Geology from the University of North Dakota and his B.S. degree in Earth Science from North Dakota State University. Ben Oster is a Geologist on the Geomodeling Team at the EERC, where he develops geophysical models of the subsurface, performs regional geophysical characterization for clients, performs petrophysical analyses of geophysical data, assists in the preparation of technical reports, and interfaces with a diverse team of scientists and engineers to assess project uncertainties in oil and gas development and geologic CO2 storage. He holds M.S. and B.S. degrees in Geology from UND and A.S. and A.A. degrees from Williston State College. As part of the effort to address CO2 emissions from large stationary sources like coal-based energy facilities, this research is addressing the technical, financial, legal, and political challenges associated with developing a commercial-scale geologic CO2 storage site to facilitate the continued use of North Dakota’s abundant lignite resources as a fuel or industrial feedstock. The 2-year project includes the collection of two deep geologic core samples—one in Oliver County and one in Mercer County—to better understand the geology that could be used for safe, permanent storage of carbon dioxide. The formation of interest is about 6000 feet below the surface, and one of the objectives of this project is a preliminary look at the geology to see if further study is warranted. Scott F. Korom received his Ph.D. in Civil & Environmental Engineering from Utah State University in 1992. He spent 20 years as a faculty member in Geology and Geological Engineering at the University of North Dakota. He is now with Barr Engineering Company in Bismarck, ND. He works with groundwater, remediation, and other water-quality issues. Kevin Solie is employed with Basin Electric Power Cooperative as a Senior Environmental Compliance Administrator and works on a variety of CCR issues at Basin Electric facilities in North Dakota and Wyoming. Kevin earned both Bachelor and Master of Science degrees from the University of North Dakota, with a major in geology with special emphasis on hydrogeology. In 2008, he completed a degree in Geological Engineering. Kevin is a Registered Professional Engineer in North Dakota and Wyoming. Prior to his employment at Basin Electric, Kevin worked as an Environmental Scientist for the North Dakota State Department of Health, Division of Waste Management. He is also a retired commissioned officer of the North Dakota Army National Guard, having served a one-year tour of duty in Iraq. In his “spare time” Kevin is an adjunct instructor at Bismarck State College, teaching the introductory Geology course and lab. On April 17, 2015, the USEPA promulgated federal rules to regulate CCRs as a non-hazardous solid waste under subtitle D of the Resource Conservation and Recovery Act (RCRA). CCRs were previously regulated through a variety of state programs that allowed local solutions tailored to site-specific conditions, including geology, hydrogeology, waste characteristics, and climate. The CCR Rule established national minimum requirements for existing and new CCR landfills and surface impoundments. The self-implementing criteria include location restrictions, design and operating criteria, groundwater monitoring and corrective action, closure requirements and post-closure care, and record keeping, notification and internet posting requirements. Although the CCR Rule is self-implementing, it provides little flexibility. The purpose of this presentation is to provide a brief overview of CCR Rule requirements, to discuss the pitfalls associated with the self-implementing nature of the Rule, and to highlight potential impacts on electric utilities. Ned Kruger grew up on a farm near Sheyenne, North Dakota. Upon completing the NDSU geosciences undergraduate program, he joined the North Dakota Geological Survey in 1999 where he spent 2 years compiling a database of coal seams in western North Dakota. Ned later worked as an environmental consultant in Las Vegas, Nevada. After a decade in the desert, Ned returned to the North Dakota Geological Survey in 2011, where among other things he oversees the state’s coal exploration program. He and his wife have two young children. The North Dakota Geological Survey recently published its initial investigation into the potential use of North Dakota lignite as a source for rare earth elements. 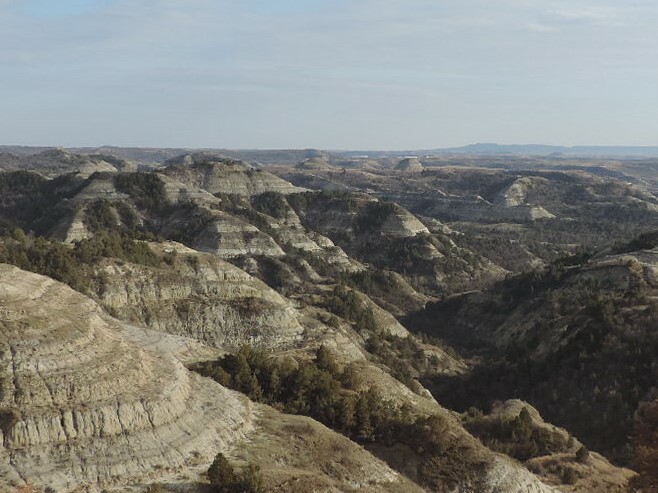 From the fall of 2015 to the summer of 2017, nearly 500 rock samples were collected from exposures of Fort Union and Hell Creek strata at 64 locations in western North Dakota. This presentation will include discussions of the rare earth elements, the United States’ designation of rare earths as a critical mineral commodity, why we looked at lignite as a potential source, and the investigation’s findings. I grew up in Bismarck and first became a member of the ND Geological Society in 1975 when I would come to the meetings with my father. I received a A.A. Degree from Bismarck State College and a B.S. and M.S. in Geology from the University of North Dakota. I went full time with the Geological Survey in 1980 and became state geologist in 2005. Ed canoed the Little Missouri River in the spring of 1982 from Bullion Butte to the Long X Bridge. He will show photos from that trip and from other projects he has been involved with in the Little Missouri River Badlands. Cassandra Torstenson is an Environmental Scientist with the North Dakota Department of Transportation. Cassandra holds a Master’s Degree in Public Administration (University of North Dakota) and a Bachelor’s Degree in Environmental Science (Western Washington University). Previously, Cassandra was with the NDDOT’s Environmental Section, leading staff handling multiple environmental programs followed by joining the Governor’s office to serve as Governor Burgum’s sole scientific policy advisor. She also launched and served as Director of the Green Economy and Sustainable Water Center at the Illinois College of Lake County where she built a water curriculum vision and framework for both the National Science Foundation and Community Colleges across the State of Illinois, and served as an expert reviewer for the NSF. Finally, Cassandra served as Deputy Director of the Division of Water Resources for a large Illinois county, where she co-authored the Water 2050 Plan for the Chicagoland region (11 counties / approx. 12 million people), and used grassroots consensus building to write / pass a 1st-in-State Water Resources Protection Plan with example policies for a county of nearly 400,000. This won both National and State awards and is still the Water Planning model in Illinois. She was also awarded nearly $3 million in State, Local and Federal funds for a geology-groundwater study seen as the most progressive study of its kind in the U.S.
Cassandra will discuss the benefits of 3-D geological mapping and how it can be used in North Dakota. Eric C. Brevik is a Professor of Geology and Soils at Dickinson State University, North Dakota, USA. Dr. Brevik earned his BS and MA degrees in Geology from the University of North Dakota and his PhD in Soil Science (Soil Morphology and Genesis) at Iowa State University. He has taught courses in soil science and geology at Valdosta State University (Georgia, USA) and Dickinson State University since 2001. His research interests include carbon sequestration by soil, soil health and productivity, soils and society, and the integration of geological and soils information. Dr. Brevik is active professionally, having published over 130 peer-reviewed journal articles and book chapters to date. Dr. Brevik is also active both in the United States and internationally in researching the historical and sociological aspects of soil science. He has organized and chaired several sessions at meetings of professional groups including the Soil Science Society of America, European Geosciences Union, and World Congress of Soil Science. Projections anticipate 9-10 billion people on Earth by 2050, and feeding that many people will require significantly more agricultural production than is currently generated. Yet, at the same time that we face increasing production needs, we are also faced with significant degradation of many of our agricultural lands. At one time the world’s oceans were seen as a major new source of food, but we currently get less than 2.5% of our calories from ocean sources and the even at that the world’s fisheries are over-exploited. In order to feed the human population, we will have to find ways to get the majority of that food from the terrestrial environment. This presentation will investigate factors contributing to soil degradation, how that relates to food security and human health concerns, and some possible answers to these problems based on work conducted by the author, often in collaboration with other scientists from around the world. Examples will come from diverse geographic locations, including North Dakota, Europe, and Asia. Join your fellow Society members again and enjoy Mark’s culinary skills. Food will be provided, and the Society will be providing some beverages. You are welcome to bring your own beverages, however please do not bring glass containers per park rules. Mark needs a rough headcount a few days prior to the event so please RSVP earlier rather than later. Also please note the officer election information at the end of geologram. Joel Galloway has worked for the U.S. Geological Survey for 23 years in North Dakota, Arkansas, South Dakota, Iowa, and Wyoming and is currently the Associate Director for the USGS Dakota Water Science Center. He has a Master of Science degree in environmental/civil engineering from the South Dakota School of Mines and Technology and a Bachelor of Science degree in geology from the University of North Dakota. Joel has authored or coauthored over 40 scientific reports and journal articles on different water-quality, ground-water, and surface-water topics. Within the Williston Basin, four shallow lower Tertiary and Upper Cretaceous formations provide the majority of water for domestic, livestock, industrial, and public-supply. A study was initiated in 2013 to characterize current water-quality conditions in the Upper Fort Union aquifer within the Williston Basin located in Montana and North Dakota. Thirty-four domestic wells selected using a spatially distributed randomized grid-based method were sampled for an extensive set of water-quality constituents. In addition to field measurements (water temperature, pH, specific conductance, dissolved oxygen, turbidity, sulfide, and alkalinity) samples from each well were analyzed for major ions, trace metals, nutrients, volatile organic compounds, methane and ethane, hydrogen and carbon isotopes of methane, and hydrocarbon gas composition. A subset of the wells had additional analyses including gasoline and diesel range organics, dissolved gases, noble gases, hydrogen and oxygen isotopes, tritium, carbon 14, dissolved organic carbon, sulfur hexafluoride, and strontium isotopes. The methods and results for the water-quality assessment will be presented. Paul R. Picha is Chief Archaeologist at the State Historical Society of North Dakota (SHSND). He has been an archaeologist with the SHSND since 1994. For the past 19 years Picha has been involved with collaborative archaeological investigations at Menoken, Fort Clark, and Double Ditch State Historic Sites in North Dakota. His research for the last two decades has focused on prehistoric and historical archaeology of the Northern Great Plains and the history of early exploration, historical cartography, and lithic resource use. Picha has a M.A. (Anthropology) from the University of Missouri-Columbia and a B.A. (Anthropology), from Hamline University, St. Paul, MN. He resides in Bismarck. Cost: Lunch $5.00 - Lunch will include sandwiches, fruit, chips, and drinks (water and soda) catered by the James River Café. Jeff is a paleontologist and Bismarck native. A graduate of The University of North Dakota (BS Geology) and the South Dakota School of Mines and Technology (MS Paleontology), Jeff returned to Bismarck after working at the Sam Noble Oklahoma Museum of Natural History in Norman, OK for nearly a decade. He has been with the North Dakota Geological Survey since 2008. Jeff’s focus has been on prehistoric mammals, but has recently become very interested in the overall paleontology of North Dakota. Topic: The presentation will focus on giving a “behind the scenes” look at the deconstruction and construction of the new exhibits at the North Dakota Heritage Center. Please join us for an evening social event featuring a presentation provided through the American Association of Petroleum Geologist’s Distinguished Lecture Program. The event will open at 6:00 pm allowing guests to socialize and meet the speaker. The talk will begin at 7 pm. In addition to the Society membership, this talk is open to members of the general public who have an interest in geosciences. Per Kent Pedersen is an associate professor with the Department of Geoscience at the University of Calgary, and owner of a consulting company providing technical support for reservoir characterization. He also teaches field seminars for petroleum companies and geological societies. See full speaker biography at: “http://www.aapg.org/career/training/in-person/distinguished-lecturer/details/articleid/32933”. Chris attended Calvin College in Grand Rapids, Michigan for his undergraduate degree in Geology. During his time there, he was active in research, in particular, geomorphology studies of active dune systems adjacent to Lake Michigan. Following his undergraduate education, he attended The University of Toledo in Toledo, Ohio to pursue his master’s in Geology. During his time there, he was active with a variety of regional glacial geology projects, and he conducted his thesis research on coastal stratigraphy on the eastern coast of the USA. Following his time at the University of Toledo, he attended The University of Delaware where he began a PhD in geology & coastal engineering. After a year, he decided to begin pursuing a career instead of school and he landed at the North Dakota Geological Survey shortly after. The Atlantic inner-shelf off the coast of Assateague Island preserves a complex stratigraphy in the Quaternary Section. Holocene highstands have been transgressing the island, yielding the current state. Seismic reflection data off the Assateague Island coast reveal flood-tidal delta facies, tidal inlet channels, tidal creeks, and Holocene sand sheets. These facies indicate a former back-barrier environment off the Assateague Island coast, revealing a former offshore position of Assateague Island. The defining characteristic of the back-barrier environment is a flood-tidal delta complex approximately 4.5 km by 3.5 km. An isopach map of the flood-tidal delta reveals a ramp and facies thinning away from the ramp. Two main reflections are interpreted to be shoreface ravinements in the study area, which are time-transgressive subaqueous erosional surfaces produced during the landward movement of the transgressive systems tract. A third reflection is interpreted to be the pre-transgressive surface, marking the Holocene/Pleistocene Boundary. The depth of the pre-transgressive surface was interpreted throughout the entire study area. It resulted in a clean surface with a channel-like depression near seismic line 18. This depression is interpreted as being part of a lowstand drainage system. John Bluemle’s main geologic interest is North Dakota’s landforms, but during his 42 years with the North Dakota Geological Survey, he researched all facets of the state’s geology, including mineral resources, geomorphology, stratigraphy, climate change and public outreach. John served as state geologist and director of the North Dakota Geological Survey from 1990 to 2004, when he retired. John mapped the geology of 23 of North Dakota’s 53 counties and authored or co-authored about 450 reports and maps, many of which were published in refereed technical journals. He belongs to numerous scientific and professional societies. Glacial Lake Mose flooded, perhaps, 3,000 to 4,000 square miles in eastern North Dakota at the end of the Ice Age. The lake existed prior to Lake Agassiz and was located on the upland to the west of the Red River Valley. The lake was quickly destroyed when a glacier expanded westward out of the Red River Valley, at the time of the Younger Dryas. The lake has not been recognized because the final event in the area was the re-advance of the glacial ice, over/through the lake. Consequently, the conventional interpreted result has been that the area is “ground moraine.” Until recently, no one has noticed (or recognized any significance) that the material in the ground moraine consists largely of re-worked lake deposits. No one wondered why they are there. During the 1960s and 1970s, John mapped the geology of nearly the entire area that Lake Mose flooded, but failed to recognize the significance of lake sediments he found throughout the areas he had mapped. John’s current understanding of Lake Mose is a result of re-interpretation of his early field notes, coupled with recent (minimal) field study as he traveled around the state, refreshing his memory, while writing a book on North Dakota landforms. Jeff Bader has been a geologist for over 35 years and is a Professional Geologist in Wyoming and Utah. He has served as a Subsurface Geologist with the North Dakota Geological Survey since 2014. He took his Bachelor’s degree in 1980 at the University of Colorado and obtained an MS degree in petroleum geology from San Jose State University in 1987. Jeff spent the first eight years of his career at the U.S. Geological Survey, Branch of Petroleum Geology. He also worked for several consulting firms in California, Colorado, and Hawaii prior to joining the NDGS. Jeff’s research interests center on cratonic origins/development and resulting influences on the Phanerozoic tectonic, structural, stratigraphic, and sedimentological evolution of sedimentary basins. The Inyan Kara Formation of North Dakota is the lowermost unit of the Lower Cretaceous Dakota Group. The formation does not crop out within the state and limited core is available for study. The formation is the primary subsurface injection zone for produced water where over a million barrels/day are injected. This work examines the subsurface stratigraphy of the Inyan Kara within McKenzie/Williams Counties as part of a state-wide investigation to identify potential areas for produced water injection. A partial core from Amerada’s Math Iverson #1 was used along with wireline logs from numerous wells to develop a working sequence stratigraphic model. Numerous sedimentary structures and sequence stratigraphic surfaces are observed in both core and on logs and can be used to better understand the depositional environment of the Inyan Kara. Gamma-ray signatures from well logs are characterized by a distinct, blocky pattern for coarser-grained sandstone deposits, commonly over 100 feet thick. 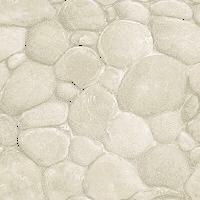 These sandstones then grade upwards into finer-grained units of interbedded sand, silt, and clay. Based on these observations, the Inyan Kara can be subdivided into two units that reflect the overall sea-level rise of the Early Cretaceous. The working model shows coastline evolution through time and correlation of sequence stratigraphic surfaces basinward/landward from northwestern North Dakota. It can be used to predict the presence and extent of incised-valley-fill sandstone bodies for produced water disposal, as well as distinguishing such bodies from other coarser-grained units that have lesser potential for injection. Dr. Hanna serves as minerals program manager for the USDA Forest Service in Bismarck, North Dakota. Dr. Hanna is a licensed geologist and for the past fifteen years he has worked in the field of geology in professional and academic positions. He began as a faculty member at Cairo University, Egypt and as a pre- doctoral researcher in the Swiss Federal Institute of Technology. Since then he has consulted nationally and internationally, participating in multiple metal, coal, oil/gas and hard rock mining projects in North and South America, Europe, Asia, and Africa. The presentation will illustrate the risk-management process on a US-based generic fluorspar project in the Illinois-Kentucky basin. It will offer a general overview of the current state of this important industrial mineral, including information on the location of the world’s reserves, main producers and consumers, uses of fluorspar, market structure, drivers and limitations, and a forecast for the next few years, including the role that the development of the US resources could mean for the industry. David Hisz is a groundwater hydrologist with the North Dakota State Water Commission. He holds a B.S. in geology from St. Lawrence University, and a M.S. in hydrogeology from Clemson University. His research interests focus on aquifer characterization methods. Glacial tills play an important role in buried-valley aquifer systems. The long-term performance of wells developed below till aquitards rely on the movement of water through the formation, so understanding the distribution of hydraulic properties is key for predicting long-term aquifer-aquitard interactions related to storage, leakage, and recharge. Recent industrial demand for groundwater from the Spiritwood aquifer in eastern North Dakota showed a need for describing the hydraulic properties controlling water movement through overlying tills in highly appropriated areas. The ND State Water Commission installed four nests of wells in both the Spiritwood aquifer and till aquitard along a mile-long transect to observe and monitor the response to hydraulic stresses. Water level and atmospheric data were collected during ambient and pumping conditions, followed by a slug testing campaign. A borehole tiltmeter was deployed to monitor poroelastic responses in the till during a 7-day constant-rate test. Results from slug tests show hydraulic conductivities range from 1.8x10-6 to 1.2x10-2 ft/day. A zone of higher hydraulic conductivity was observed at all nest sites approximately 20 to 40 ft above the base of the till. Tilt was observed in the till at a radial distance of 400 ft east from the pumping well during well development, step, and the constant-rate testing. Magnitudes of tilt ranged from 0.5 micro-radians during development to 3 micro-radians during pumping. The tilt directions during pumping were approximately N20W during early time, and S30W at late-times. Tilts seem to correlate to pressure changes in the Spiritwood aquifer under pumping conditions. The observed changes in tilt direction seem to respond with times when the aquifer drawdown interacts with boundaries to the west and south of the pumping well, perhaps influencing deformation in the till aquitard. Analysis is ongoing.